No. 7 Snowshoe-friendly Nordic Center: The Mountain Top Inn and Nordic Center, Chittenden, Vt.
Nestled in Vermont’s Green Mountain National Forest overlooking the Chittenden Reservoir, the pastoral Mountain Top Inn, with its stately barn and rolling acreage, was originally the site of a thriving turnip farm. Later, it became a popular countryside retreat that once had the honor of welcoming President Eisenhower during a fishing expedition. Today, it is one of the oldest and finest Nordic centers in New England where cross-country skiing and snowshoeing are celebrated winter pastimes. With 60 kilometers of Nordic trails, a variety of on-site lodging options, two restaurants and a wide variety of entertaining cold-weather activities including dog sledding, yoga, snowmobiling and sleigh rides, this historic resort provides a snowy retreat perfect for the whole family. Sleigh rides and Nordic adventures at Mountain Top Inn. Staying true to its rural roots, the Mountain Top Nordic Ski and Snowshoe center is housed in a renovated barn constructed with planks of Vermont pine wood. It houses an equipment rental and repair center, snack bar, game room, kid’s theater and fitness center offering a weekly schedule of yoga classes and massage therapy services to help soothe sore muscles. Just outside this cozy basecamp is access to 40 kilometers of multi-use trails that are well-groomed and marked for ease of use. Head out for a sunrise jaunt on the quick and easy Morning Glory trail, or pack a lunch and prepare for a lengthy but scenic day hike around the reservoir on the challenging Round Robin trail. Kids will also love participating in the resort’s creative Nordic Quest scavenger hunt called “Turnips, Tracks and Trails” which requires to solving puzzles and hunting for clues on the trails. The game encourages participants to seek signs of wildlife while also learning about Vermont’s heritage and the resort’s rich history providing an opportunity for old-fashioned family fun. After working up a healthy appetite, head into the lodge to converse with other guests and to enjoy a hearty meal of New England specialties such as PEI mussels, fried Haddock po’ boys, an artisan cheese platter and a pint of local craft beer at the Mountain Top Tavern. Hoping for a more elegant dining experience? Make a reservation to attend a wine dinner at the upscale Highlands Dining Room. Special dining events such as the $12 Burger and Brew event on Wednesday nights and occasional half-price wine discounts offer a treat for both locals and visitors. Overnight guests can also enjoy a complimentary hot, country breakfast included with their stay. The resort offers plenty of other activities off the trail, too, for a well-rounded day of play such as snowmobile tours, ice skating and a brand new tubing hill. For a romantic evening, make arrangements for the resort’s dinner package that includes a horse-drawn sleigh ride and a three course meal in the cozy dining room. The crisp night air and awe-inspiring star-gazing will make you want to curl up by the fire and spend some quality time with your loved one. After dinner, you can retreat to your elegantly appointed lodge room, suite, cabin or vacation home rental, depending on the size of your group or length of your stay. Dogs are not only welcome at Mountain Top, but they are treated like family beginning with a locally baked welcome treat upon check in and spoiled to the fullest with plush pet beds, food and water bowls, and walking and sitting services. Your furry friend can even join you for a hike on a selection of designated Nordic trails. From the moment visitors step foot on this enchanting property, it is impossible not to feel a distinct sense of warmth, grace and history that is the legacy of the Mountain Top Inn. With the perfect ambiance to set the scene for a romantic weekend getaway, and enough adventurous pursuits to entertain a variety of interests during a rowdy family reunion, you can rest assured that this Central Vermont gem will not disappoint. Visit mountaintopinn.com for more information. Return to the full list of Nordic Centers. No. 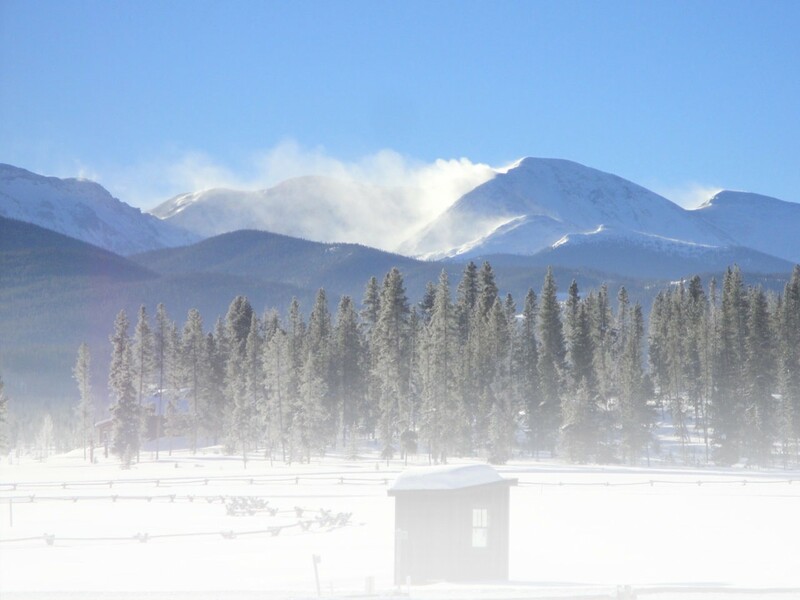 9 Snowshoe-friendly Nordic Center: Frisco Nordic Center, Frisco, Colo.